Before venturing to Clovis Point I had been given a bottle of their Chardonnay, which I re-gifted to a friend because I enjoy Chardonnay the least of all white wines. My mistake! My friend told me how delicious the Clovis Point Chardonnay was and I had to make the trip to see what all the fuss was about. Starting our white wine tasting with the 2014 Stainless Chardonnay, this 97% Chardonnay/3% Gewurztraminer wine had an oakey aroma but the taste was crisp, with no oakey flavor. It was delicious! Next was the grassy 2014 Sauvignon Blanc. Last was the 2014 Black Label Chardonnay, 70% steel and 30% barrel fermented with a slightly oakey aroma, and fruity taste. 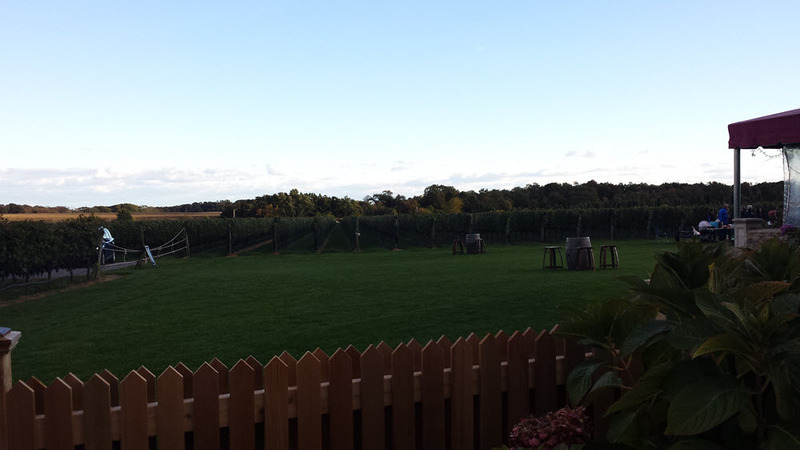 The Stainless Chardonnay was a definite stand-out. We ordered a plate of brie, crackers and fig spread to finish with a glass of the stainless Chardonnay at a table in the dimly-lit tasting room, though there were tables outside on the lawn as well. A nice quiet end to our trip out east. 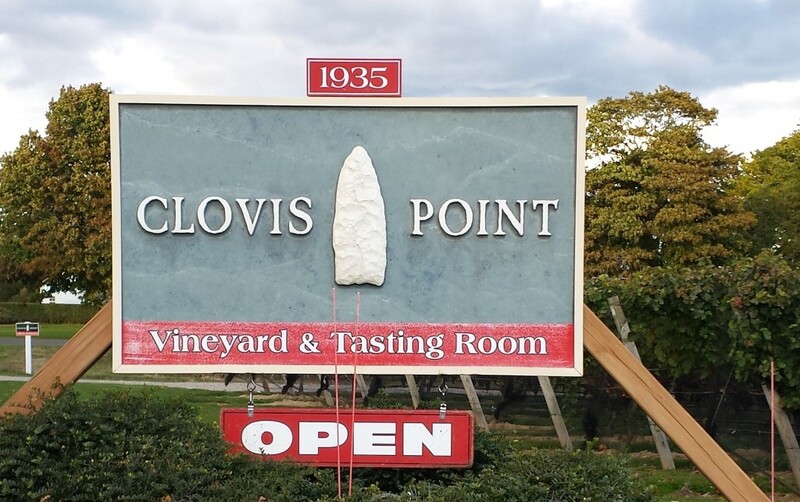 Clovis Point is a great place to stop into, even if you’re not into the oakey flavors of a traditional Chardonnay. You’ll be surprised! 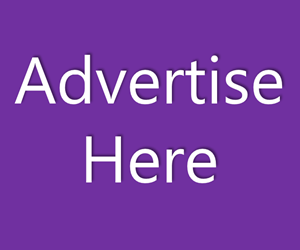 Monday 12 p.m. – 6 p.m. Regular white flight includes four wines for $8. Regular red flight includes four wines for $10. Premium red flight includes four signature reds for $14. 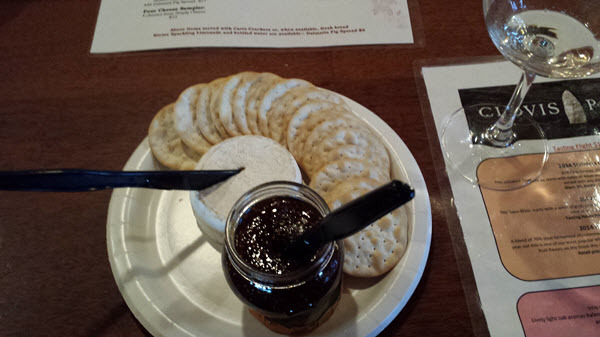 VIP Tasting*: This tasting includes both the regular white and regular red tastings noted above plus a plate of artisan cheeses for $20 per person; at least two people per party must participate. *Reservation required; 24-hour advance notice, please. 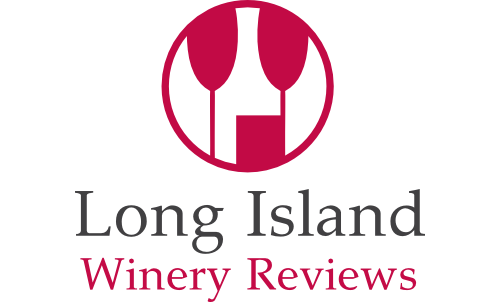 Site Fee ranges from $400-$750/hour (holiday weekends may be more) – includes: use of the tasting room, covered outside deck area, vineyard grounds and the grass areas in front of the vines for a tent, if necessary. The tasting room is heated and air-conditioned. The patio area is heated. 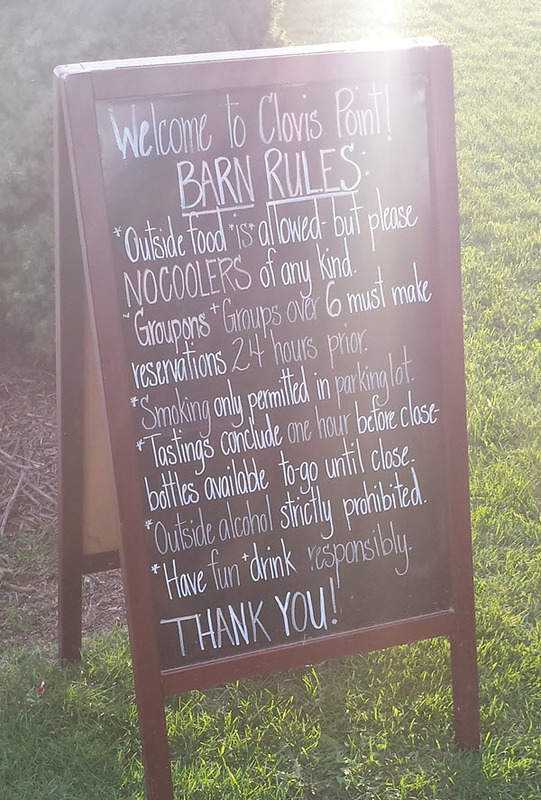 2 Clovis Point employees ($200/employee + $40/hour/employee for each additional hour beyond 5 hours) must be present at your event (an additional employee will be required for events greater than 100 people) behind the tasting room bar, and will remain until the end of your event to lock up the premises. They only allow Clovis Point wines to be poured at events on the premises. The required minimum purchase is 1/2 bottle per person. Any wine remaining after your event belongs to you. A 15% discount will be applied to purchases of five cases or more. Valet service for parking is required for events of 60 guests or more. 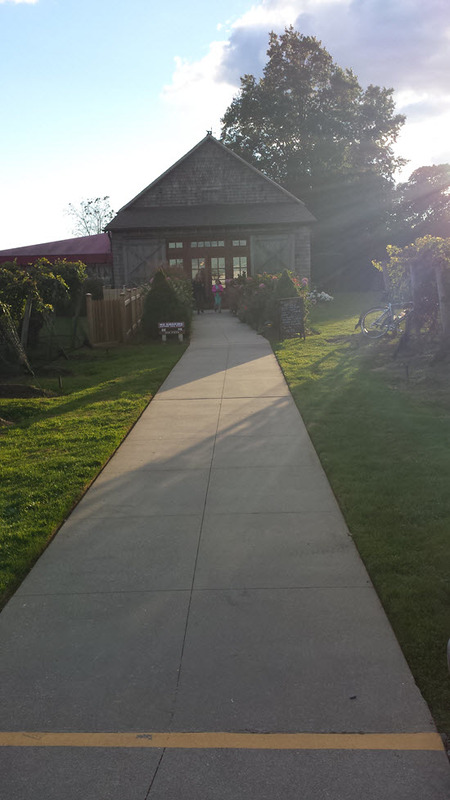 Have you been to Clovis Point Wines? Share your experience in our comments section below.